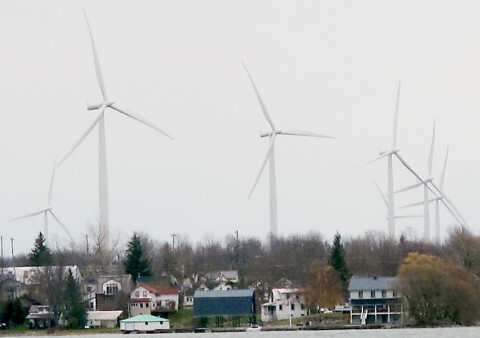 More groups are voicing disappointment over the Ministry of Environment’s recent approval of WPD’s White Pines wind project destined for Prince Edward County. Today, Nature Canada, Ontario Nature, and American Bird Conservancy issued a joint statement saying they are not against the project but they are concerned about where some of the 27 turbines will be built. Cheskey says Nature Canada commented on the project illustrating there is sound data from the Prince Edward Point Bird Observatory that shows the area is important for many species at risk. Cheskey added he thinks this decision is premature given the Ostrander Point appeal is still before the courts. The County Field Naturalists have taken their case to Ontario’s top appeal court stating the nine turbine project would have a negative impact on the endangered Blanding’s Turtle. Once the approval was announced County mayor Robert Quaiff, Prince Edward Hastings MPP Todd Smith and the County Field Naturalists all echoed the same anger and dismay over the approval. Manager of Communications Kevin Surette says WPD has reviewed the 21 project approval requirements to protect the environment and wildlife. He says they believe they will be able to work within those conditions adding a bird monitoring program will be implemented for three years. Like Surette, Don Chisholm is pleased the project is moving ahead. Chisholm, a member of the County Sustainability Group, which wants the community to adopt green initiatives, including windmills says historically studies have shown that the affects of wind turbines on birds is minimal. An Environment Canada study released in October 2013, outlines the nine leading causes of bird deaths in Canada. It states 270 million birds are killed in Canada every year from human-related activity. While turbines weren’t in the top nine, the study says they accounted for 16,700 kills. Adding wind power is expected to grow tenfold over the next decade. Surette says a construction date hasn’t been set yet. He says they still have to determine what their requirements will be and they will reach out to local contractors and suppliers. Surette says they will put out a tender call and move forward from there.